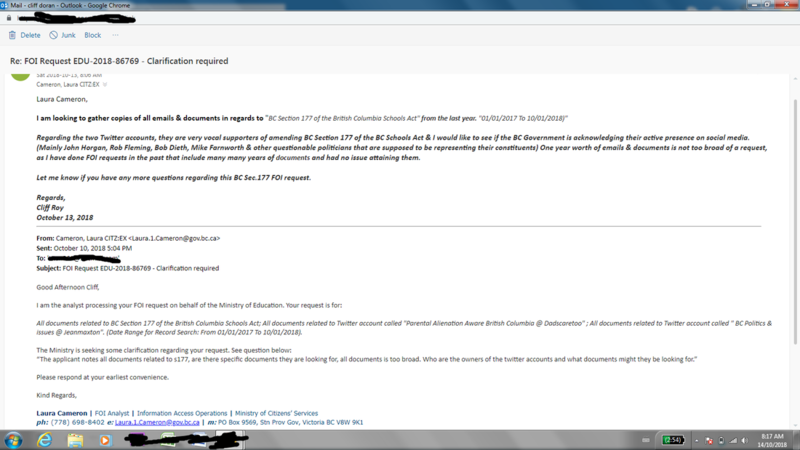 Keep in mind that the BC Ministry of Education run by Rob Fleming also operates the corrupt BC Teacher Regulation Branch. Very powerful government personnel(MLAs) & their cronies are deeply attached to this BC Section 177 scandal, so it is no doubt that FOI requests that could implicate this batch of crooked politicians & their cronies would be dragged out or refused. BC government is quickly becoming very corrupt, tribalistic & non transparent. Click here to Sign petition & click her to listen to audio evidence.